In this article, I will explain how you can create a custom form on your Salesforce site by the help of Form Builder App of UVdesk. First, you have to go to your UVdesk Dashboard and click on Apps > Form Builder. Enter the Form name, select its fields and then save it. 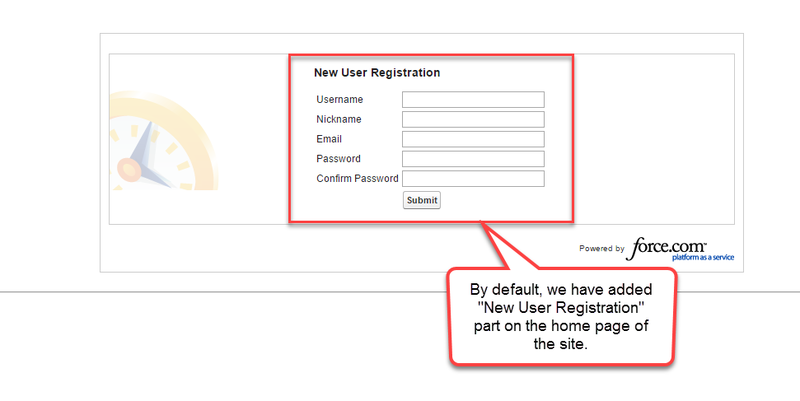 After creating the Custom Form, you can either Preview the form or see its embed codes in JS Version & iframe Version. 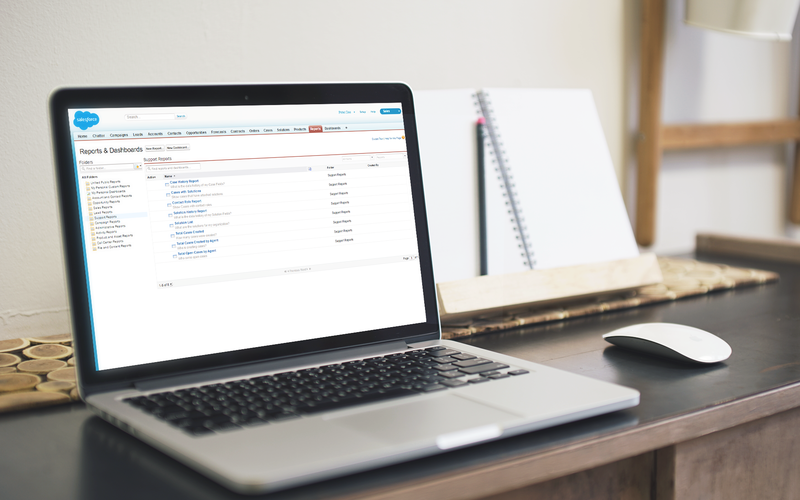 Now, login to your Salesforce Account and go to the “Setup” menu. Now, go to the “Setup” menu, then Build > Develop, go to Sites. Click on the “New” button for adding a new site. After clicking on the “New” tab, enter Site details and enter what you want to display on the homepage of your site when the user visits in “Active Site Home Page” field. Now, go to the front-end of your created site and on the homepage, you will see the feature which you have entered in “Active Site Home Page” field. Now go to the “Visualforce Pages” and then click on “Edit” link for the function which you want to display on the homepage of your site created with the Salesforce. On the UVdesk, go to the Form Builder and click on the Custom Form name. After that you will see three buttons — Save, Preview Form & Get Embed Code. Click on the “Get Embed Code” and copy either JS or iframe version codes. 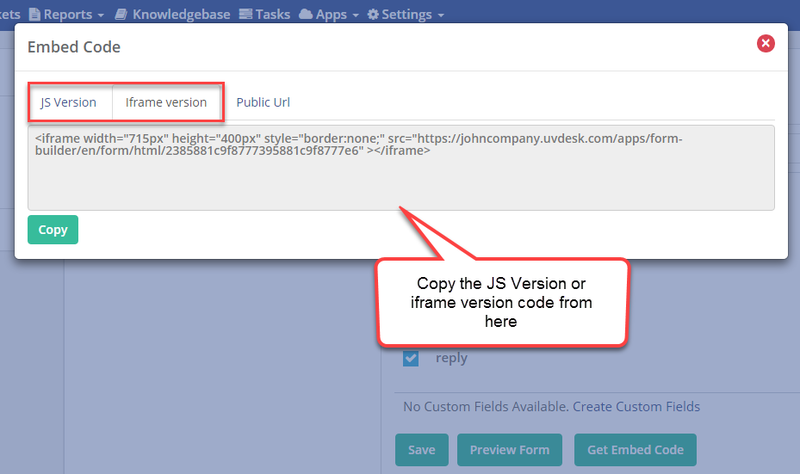 Now, again go to your Salesforce and paste the iframe version codes on the Visualforce Markup and save that page. Now, again go to the front-end of the site and then you will see your custom form created by pasting the iframe codes generated by the UVdesk. The customer can enter their details and query and then click on submit. 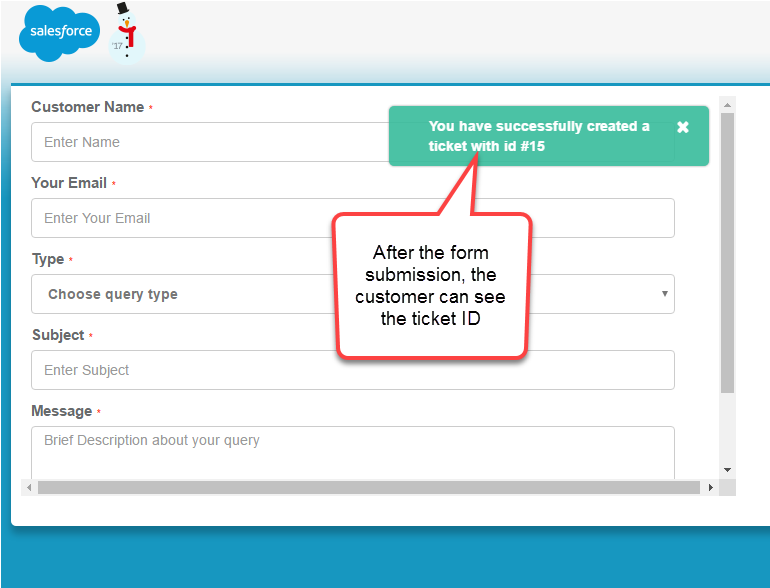 After clicking the Submit button, the customer can see their Ticket ID and a success message from the UVdesk. 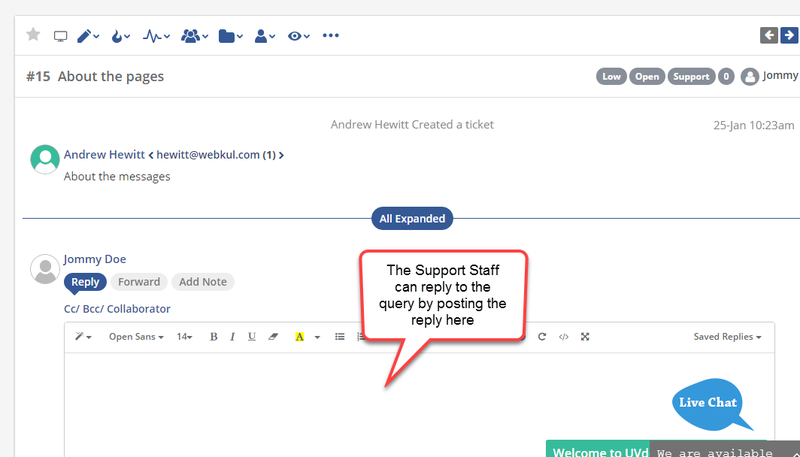 Now, the support agent can check the Ticket #15 on the UVdesk with the details and query filled by the customer. The support agent can revert back to the same query asked by the customer. Note- In the Visualforce Markup, when you will paste the iframe version codes, use <apex:page> tag, before and after the code and then save it.